Do you love fresh flowers, lush plants and beautiful surroundings? 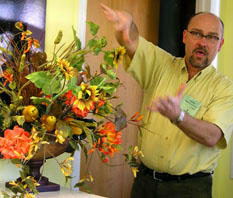 Have you ever thought it would be fun to learn more about flowers and plants and how to use them better in your home? Blumz offers lots of different classes throughout the year! If you have a group that wants to come in we can schedule a special class for your group! Call us at 2483985130 to find out more or book a class! During the initial consultation, overall look or theme, desired flowers and general prices and fees are discussed. Pricing of events and wedding are determined based on several factors. Message suggestions for occasions and events.